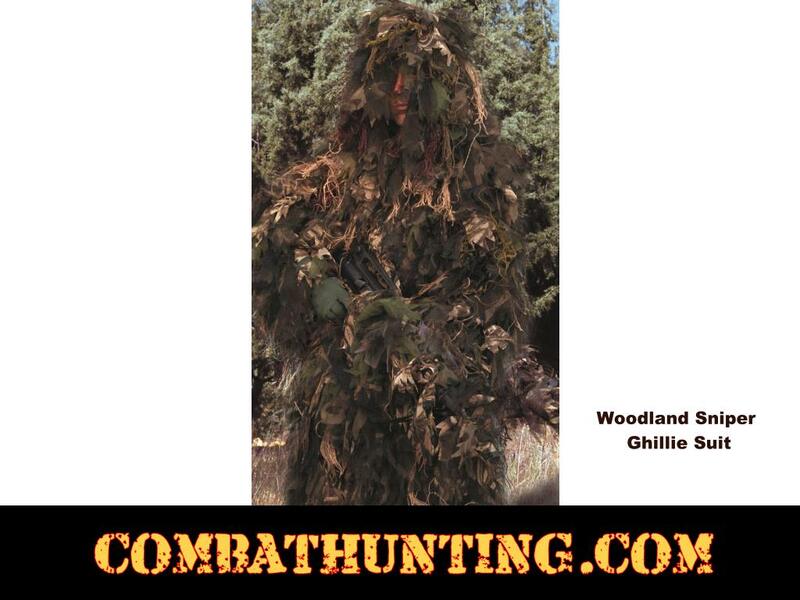 Complete ghillie suit pre-made ultra light weight chameleon ghillie suit great for deer hunting and tactical sniper situations. 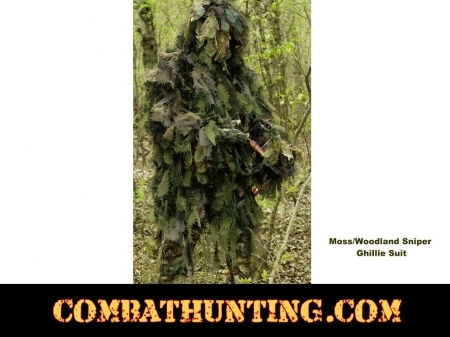 We have ghillie suits available in 3 colors woodland, moss and fall/desert camo. Ghilli suit has more than 700 synthetic camo-leaves are tied into a mesh jacket that can be worn over any clothing. 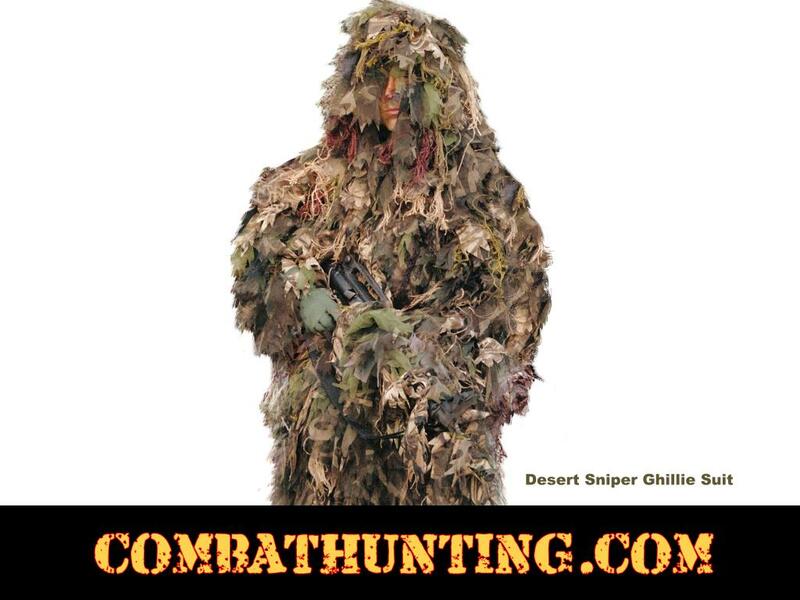 The suit is cooler than traditional ghillie suits and is fire and water resistant. The CHAMELEON has outstanding blending qualities and virtually scentless. Weighs less than 3 lbs. Covers from head to boot on most. Comes with additional leaves and burlap that can be added to better match your specific terrain. Chameleon Ghillie Suit Comes In 3 Color Choices Use The Drop Down Box At Check Out To Customize Your Order.